We are the proud owners of this energetic ice cream stand rich in tradition. A landmark for over 50 years, Martha's has been attracting long lines and big smiles because of its creamy assortment of soft serve flavors. 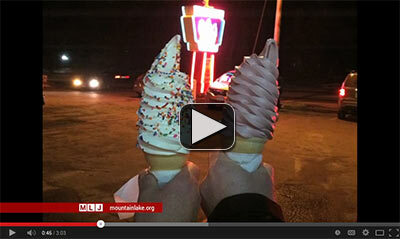 It's been well known that Martha's is famous for its generous cone sizes and their fast and friendly staff. Known to locals and tourists alike, Martha's offers its visitors an atmosphere described to be that of an old fashioned ice cream parlor with a fun friendly vibe. As a local it is the place to stop after a meal or special occasion. For the tourist it has been said to be their first stop when they come in to town and their last stop before they leave. What we love the most as owner's is to see the same faces over and over again, as well as to welcome the new (dogs included)! 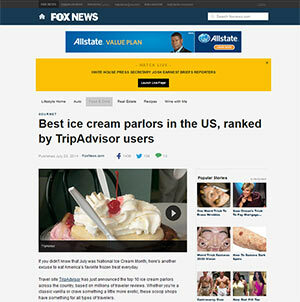 It has been your enthusiasm for our ice cream that makes this the best job in the world! And in the end it makes us happy knowing we have added that little bit of Martha's sweetness to your day.